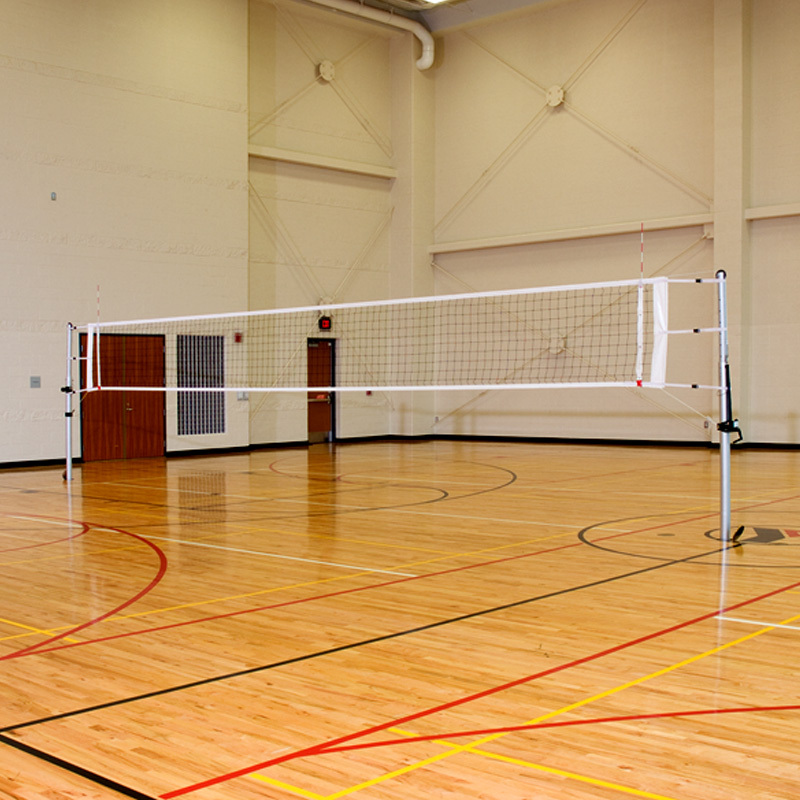 Power Volleyball System (PVS) Two Court System - 500002 :: Draper, Inc.
Two Court System includes three uprights. Power winch is located on outside of two posts. 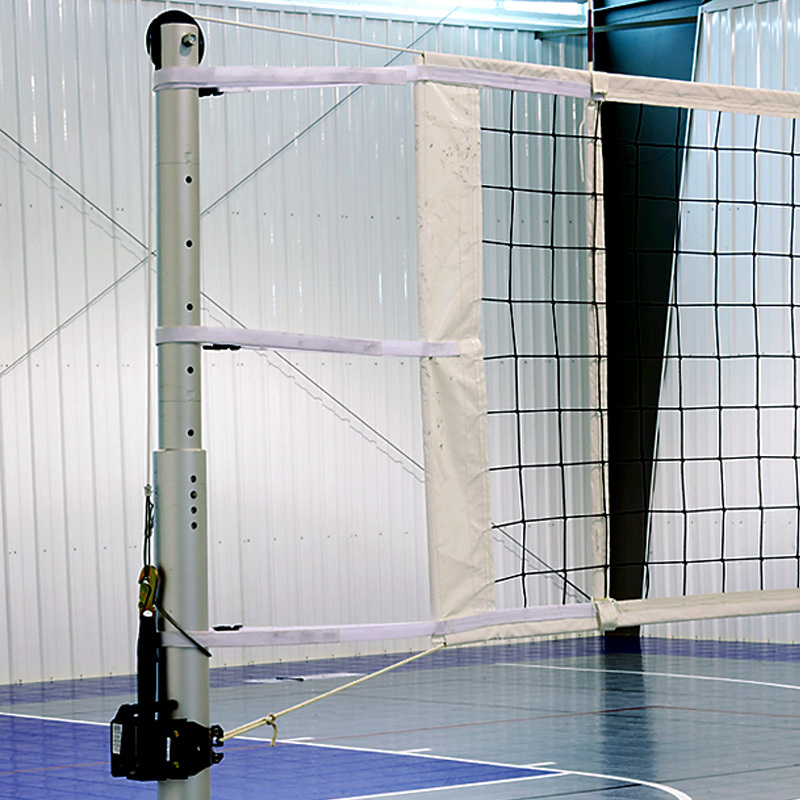 Center upright is equipped with double top pulleys and adjustable cable anchor collar for attaching two nets. 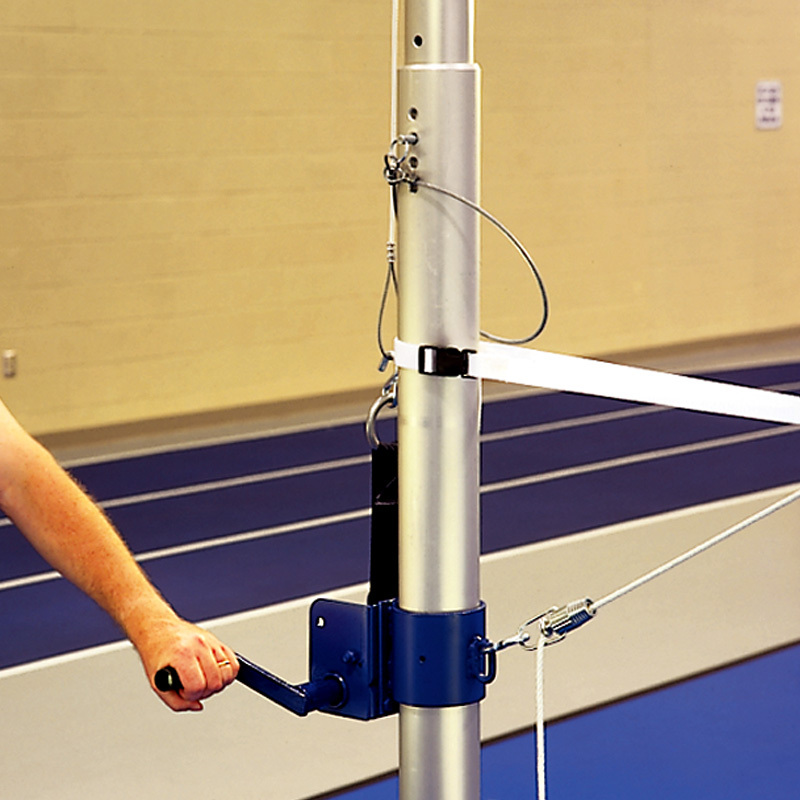 Includes two nets, two rope tensioners, two pair of combination antenna/boundary markers.